I have no clue what happened. I was drawing, and i had to restart my comp cuz my tablet driver (Yiynova msp19u + v5) decided to go bonkers for a moment, and when i came back my whole screen got resized. My toolbar especially. I'm not sure how to handle it or figure out what the problem is. Could someone help? 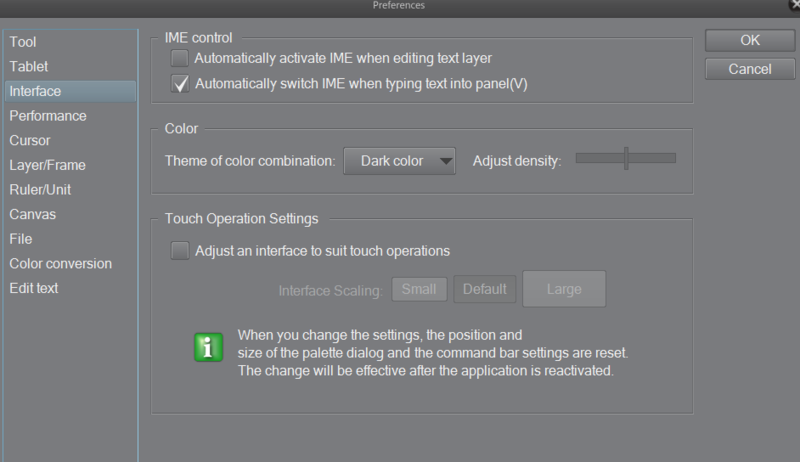 Go to File>Preferences>Interface and check if the Touch Operations are set to Large. Ahhhhhhhhhh gosh. I restarted like 4 times. just to see if i was just gettin' fucked with. It fixed itself for whatever reason. But I appreciate the help.